Ok I really really love the orange coat! What a change! Haahahaa actually she looks ALIVE IN THAT coat. I do really love the black coat. Nice. I do not like the pants at all. She looks bland and dumpy. Put on the orange. I love an all black look. It is chic and elegant. But that means the black should be the same black and not a very tailored dressy coat with faded out black pants. I am giving her a pass on the boots as it is snowing. I too wear snow boots and change inside. Put a scarve around your neck MM ..something. Deep sigh. I agree, Diane. I really like the black coat, but not the rest of the outfit. Agree, Diane. The coat is nice but she can't just throw on anything with it. And some colour would be great somewhere! I think that the green clutch is lovely, and it gives the little touch of color that you are asking for. Not for the first time, but MM is giving me serious clutch envy. She gives me serious complexion envy. 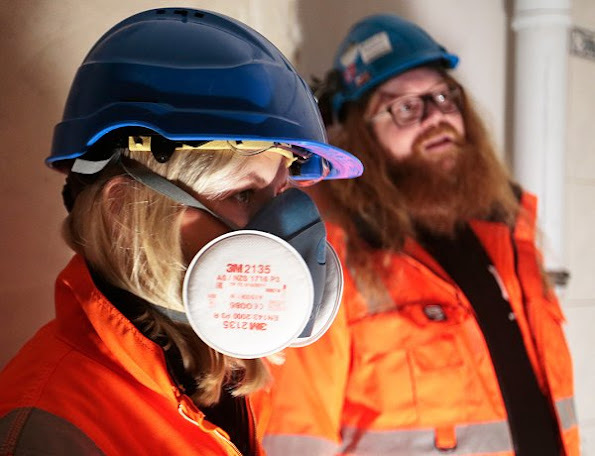 The red bearded young man in the first photo could be a viking storming out of a drakkar in a foggy dawn. @Rachel, she should give that clutch to you, because it doesn't go with this thrown together outfit anyway. It is wasted here. Sakurahime, I first thought that redhead man is an unknown brother of Axl Rose. The coat is nice, but not in combination with these bulky trousers and hiking shoes. She stands there in the snow like a penguin. She has so many colorful down jackets. Why not wear one of those for this occasion? 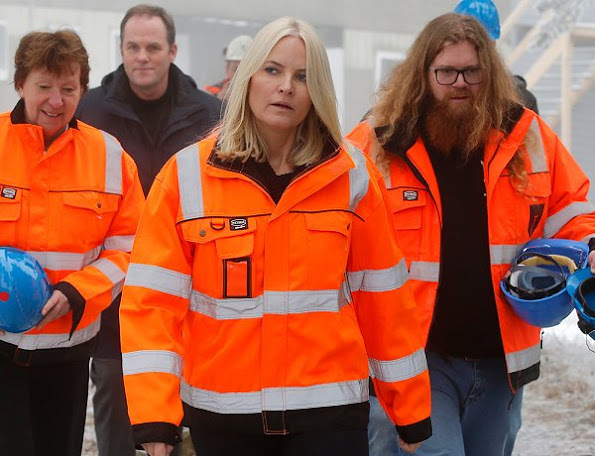 Mette Marit is amazing, what a less formal clothes, that is like orange work coat here, the better she looks. That must be because she seems to like such occasions.